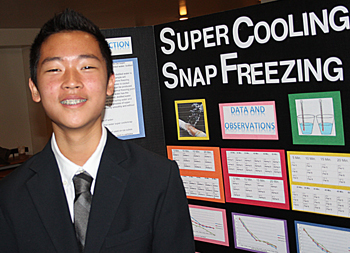 Congratulations to 8th Grader, Austin K. He won the Physics Division at the Orange County Science Fair and will be representing Fairmont at the California Science Fair next week! Read more about Student Led Conferences in this article by Education World. Choral and Instrumental students from the Prep will give a special performance just for our students. The bounce house is coming! Each class will have a chance to bounce in the Mickey Mouse bounce house. Franklin Haynes Marionettes presents Marionette Magic! Students will be awed by a variety of marionettes featured in this show. Come dressed in pajamas. Students will enjoy special books and bagels snack time with ASB students from the Prep. Children can wear their cultural attire and participate in a school-wide Fashion Show. They will enjoy classroom celebrations with an International Pot-Luck snack. Our upper grade princesses (Miss Patterson, Miss Wu, & Mrs. Gilliland) will come share their favorite book with our kindergarten students. Wednesday, April 17th: Oh My! It is Wacky Wednesday! Wear your Wackiest Hair! Mrs. Cameron will join the kindergarten class to share Dr. Seuss'Wacky Wednesday. Thursday, April 18th: Creative Play Day! Bubbles, sidewalk chalk, ribbon wands, and more! Kindergarten students will have afternoon play with all sorts of outdoor toys and will cap it off with a tasty popsicle!